Samsung display panels might go from impressive to jaw-droppingly over the top later this year. The company is reportedly planning to produce a 49-inch, curved, double full HD display panel. Oh my. This isn't a complete monitor, to be clear, but only the display component that can be used to make Samsung-branded monitors or sold to third parties. The component is essentially two 1080p displays smashed together with 3840-by-1080 resolution. Such a massive panel sounds like something you might find in a video editing bay or another professional setting, but this unit is (rather unbelievably) meant for consumers, based on a report from TFT Central. The new panel would be part of Samsung's upcoming "Grand Circle" format. It's not clear exactly what that means, but presumably we're talking about large panels with some serious curves that provide an immersive experience for gaming and video. The 49-inch panel would have a refresh rate of 144Hz and an 1800R curvature. It would also come packing either Nvidia G-Sync or AMD FreeSync. We'd hazard a guess that FreeSync is more likely since it's free to implement, and Samsung already seems to favor it for their monitors. The impact on you at home: TFT Central says the panel will go into production around September 2017, which means monitor makers would likely roll out products using the panel in late 2017 or early 2018. Next year seems more likely since it will give display makers a chance to show off some stunning new stuff at CES 2018 in January. That said, if this panel is the real deal, Samsung may offer a sneak peek prototype at Computex in June or possibly IFA Berlin in September. A 49-inch double panel isn't the only big display Samsung has on the roadmap. 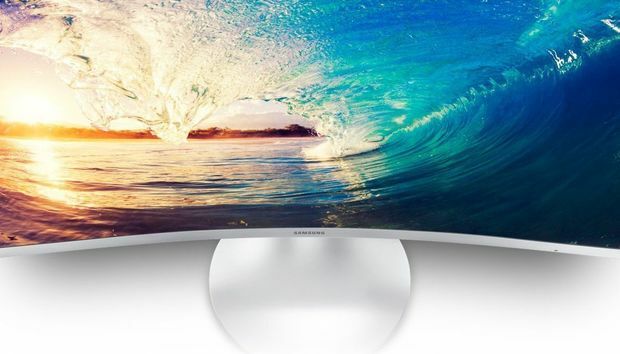 The company is also planning a 44-inch curved panel with 3840-by-1200 resolution, according to TFT Central. Once again this display is two for the price of one, equaling a pair of 1920-by-1200 displays in one package. It's meant to replace a double 24-inch monitor set-up, TFT Central says. This display would come in 60Hz and 144Hz versions and also have an 1800R curvature. There's no word on whether it would have one of the various sync technologies, but we're guessing it would.